Move in condition. Eat-in kitchen with stainless steel Frigidaire stove new in 2010 and Frigidaire Microwave new in 2012. Large partially fenced backyard with deck and 10x6 storage shed installed in 2008. Ceiling fan in living room. LOTS and LOTS of updates. Back door replaced in 2008. Front door replaced in 2009. ALL NEW Pella Windows in 2008 and 2009. New carrier furnace and air conditioner in July 2008. New water heater in July 2008. Carpet replaced in 2009. Tile entryway installed in 2006. New siding and new 3 dimensional roof in 2012. Buechel Terrace is a subdivision within the city of Louisville, Kentucky. There are currently 3 Homes for Sale within Buechel Terrace, with asking prices ranging from $81,900 to $130,000. The average list price per square foot of the available inventory in Buechel Terrace is $147, which is below the Louisville average of $156. The Average Sales price of all sold real estate in this subdivision for the past year is $120,081. Recent comparable homes have been selling for 98.43% of their asking price. Waterfront homes represent 33.33% of the available Buechel Terrace inventory. The population of Louisville, according to the 2010 Census, is 597,337. The total number of households in the zip code of Buechel Terrace is 13,533, with an average household size for of 2.30 people. The total number of renter households within the zip code of 40218 is 6,472, which means that 52.18% of households in this zipcode are owner occupant households. 207 Bonnie Ln, Louisville KY 40218 is a Home, with 2 bedrooms which is recently sold, it has 672 sqft, <1/4AC sized lot, and None parking. 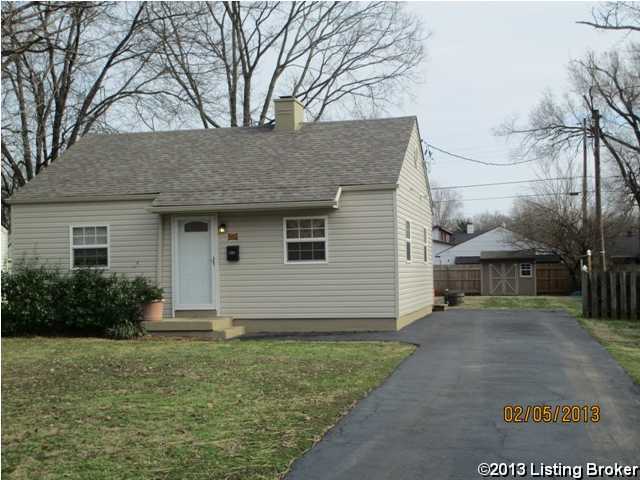 A comparable Home, has 2 bedrooms and 1.5 baths, it was built in and is located at 272 Granvil Dr Louisville KY 40218 and for sale by its owner at $ 115,000. This home is located in the city of Louisville , in zip code 40218, this Jefferson County Home, it is in the BUECHEL TERRACE Subdivision, and RANGELAND are nearby neighborhoods.